This complete, easy-to-follow program has worked for more than 100,000 people. 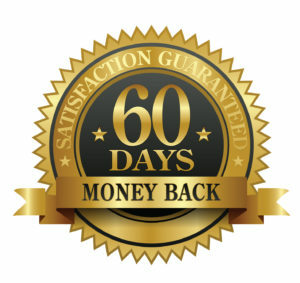 60 day Money Back Guarantee. This is an Easy to follow Plan with everything you need except for 3 Flex Foods per day. Get Healthy and save money on groceries. 2 hours later Power Shake - 2 scoops mixed with water or a Flex Beverage Time to unwind Apothe-Cherry - 2 tablespoons mixed with water or a Flex Beverage or 30-60 min. before sleep Daily Fiber Blend - 1 scoop of Fiber mixed with water or a Flex Beverage.You may combine these two products, if you prefer. *If you are dissatisfied with any Purium Product for any reason you may return the unused portion for a full refund no questions asked. 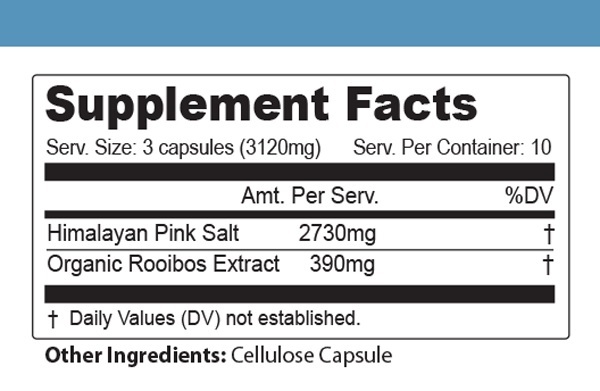 WHAT IS A FLEX FOOD? A Flex Food is a fruit or vegetable that is permitted on any 10-Day Transformation. Only 3 servings of Flex Foods OR Beverages are allowed per day, on a Transformation. Flex Foods and Flex Beverages are a way to control your intake, retrain your hunger cravings and fuel your body with optimal nutrients. If you stick to your goals, Flex Foods and Flex Beverages will naturally become your go-to snacks, long after your first 10 days. Ideal Flex Foods • 1 Avocado • 1 Apple (Tip: Eating apples first thing in the morning can help wake you up.) • 1 cup Watermelon • Unlimited Celery • Unlimited Cucumbers • 1 cup Broccoli, Cauliflower, Kale, or Spinach • 1 cup Berries • 1 cup Sauerkraut or Kimchi (no additives) • 1 cup Summer squash (winter squash not permitted) • 1/2 cup Carrots Ideal Flavorings • Organic tropic oil • Freshly squeezed lemon • Himalayan sea salt • Raw honey • Fresh herbs and spices WHAT IS A FLEX BEVERAGE? A Flex Beverage is a vegan liquid permitted on the 10-Day Transformation. You can mix one with your Power Shake, MVP Sport, Apothe-Cherry or have one separately. They count as one of the three Flex Foods / Beverages you are allowed per day. Ideal Flex Beverages • Hemp, almond, coconut, or oat milk • Kombucha • Organic vegetable broth • Decaffeinated herbal tea • Coconut water • Purium green drinks: Organic Kamut Blend, Organic Green Spectrum, Organic Barley Green Juice, Organic Spirulina, Chlorella, Power of 10 Veggie Easy Flex Food combinations • A green apple sautéed in cinnamon and Organic Tropic Oil • An avocado mashed with freshly squeezed lemon juice and Himalayan sea salt – eaten with cucumber “chips” • 1 cup broccoli sautéed in Organic Tropic Oil and fresh basil and topped with 3 tbsp. organic sauerkraut Which fruits or vegetables are NOT permitted? Bananas and starchy veggies such as any winter squash variety, pumpkin, corn, sweet potatoes, white or red potatoes are NOT permitted. You may have ½ serving of carrots (they are also an ingredient in the Power Shake). Why are cooked Flex Foods allowed? Hot Flex Foods are especially important during the winter and for people in colder climates. Hot Flex Beverages are also important for people who are used to having coffee in the morning. Remember, if you feel the urge to “cheat,” cheat with additional flex foods or a Lifestyle Meal. *You must return each item that you are wishing to get a refund for; Purium packs must be in their entirety. Even if the product has been completely used, container(s) must still be sent in order for a refund to be issued. Returns must be received at our Long Beach office within 60 days of the date the original package was received by the customer. Returns received past the 60 day window will be rejected unless prior approval for store credit has been obtained. It takes approximately 2 – 3 weeks for returns to be processed. This website does not provide medical advice. The information, including but not limited to, text, graphics, images and other material, contained on this website is for educational purposes only. Results May Vary: Causes for being overweight or obese vary from person to person. No individual result should be seen as typical. Whether genetic or environmental, it should be noted that food intake, rates of metabolism and levels of exercise and physical exertion vary from person to person. This means weight loss results will also vary from person to person. The content is not intended in any way as a substitute for professional medical advice, diagnosis or treatment. Always seek the advice of your physician or other qualified health care provider with any questions you may have regarding a medical condition or treatment and before undertaking a new health care regimen, and never disregard professional medical advice or delay in seeking it because of something you have read on this website. Click the button below to add the 10 Day Transformation Weight Loss to your wish list.